Skins for the NH-90 helicopter. Finland bought 20 NH-90 TTH (Tactical Transport Helicopter) choppers for use in Utti Jaeger Regiment. 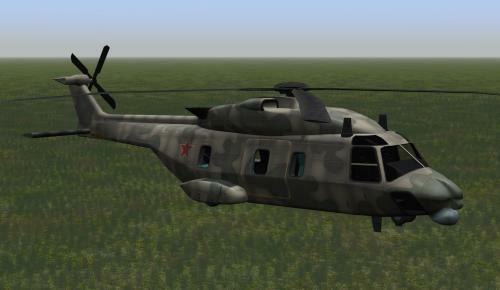 They replaced the old MI-8s that served well for a long time. The NH pilots train to fly below treetop level in difficult conditions and darknes to enable the use of the choppers during war time to avoid detection and enemy AA. The choppers are mainly to be used to transport the special forces and units of the readines brigades. Other uses include search and rescue and helping out officials during peace time. The choppers are to receive Finnish made modular composite ballistic protection during 2012-2014.